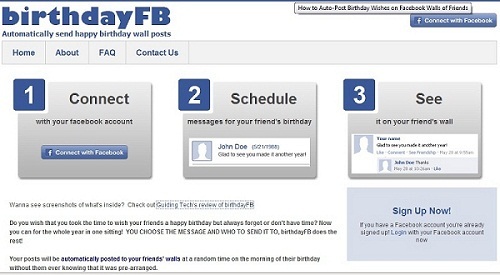 How To Auto Post Birthday Wishes On Facebook Walls Of Friends. Many times you forget to post birthday wishes on the walls of your friends. No more worries from now. birthday FB is an Facebook App that automatically posts birthday wishes on the walls of your Facebook friends. There are many other apps like this one but the advantage of using birthday FB is that it does not let your friends know that you are using a third-party tool to remember their birthdays. Just follow 3 simple steps. 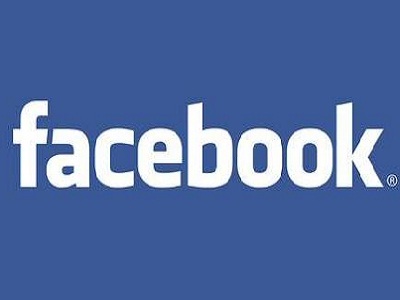 ->Go to birthdayfb.com and click connect with facebook button. ->birthdayFB asks for permission to access your data.Click on Allow. ->After that you would see a list of upcoming birthdays. Go into the Write Messages section to compose your messages. ->You can schedule a different time slot from the default one (which is 9am-11am). Go into Preferences and tweak the settings.